That day, I attended my first bloggers’ event in Metro Manila. 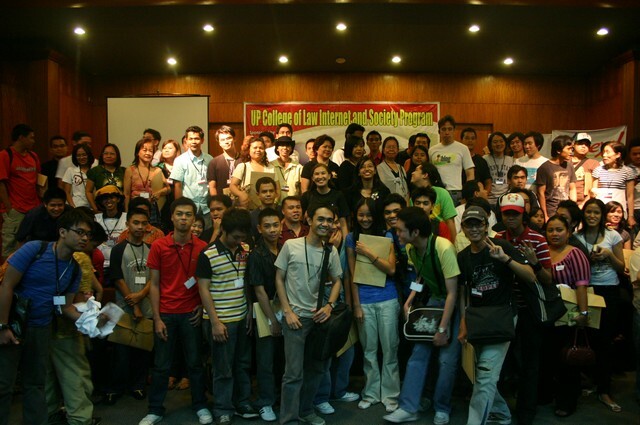 It was also the first one I attended as a participant, and the first major one I attended as a speaker. The process of preparing for my talk was a hard one. 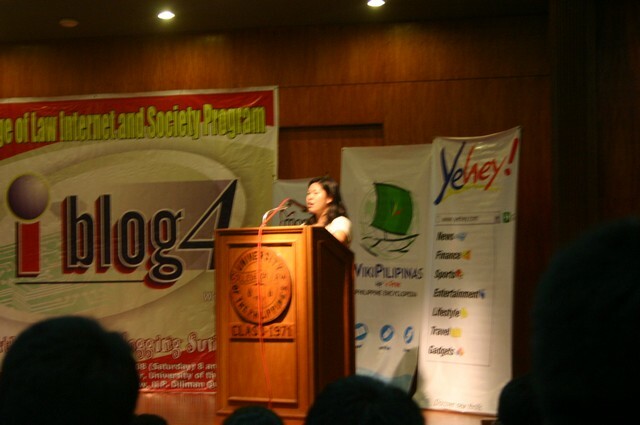 The topic “Countryside Blogging: the Mindanao Experience” was both broad and limiting. It was broad because it didn’t point to any topic I had to discuss. And it was limiting because the title itself portrayed a certain image that I didn’t want to embody. But I think, based on the mostly positive feedback I got, I did a good job at interpreting the title. I am happy that I and the rest of the Avatar group: Blogie, Winston, Kuya Andrew, and Migs, were able to represent Mindanao Bloggers well. More than sharing our experiences and achievements, I think we were able to inspire others in empowering or enabling their communities through their blogs. Somebody asked me how much I earn as a problogger. And I answered her: “I don’t consider myself a pro because of how much I earn, but based on how diligently I blog, and because of what I am able to achieve through my blogs.” While earning from blogging is definitely something I do, I do not blog mainly to profit. And while I get excited by high traffic, I am more excited by insightful comments, even when the ideas presented are different from mine. During iBlog 4, the topics I enjoyed most were those by Juned Sunido about photography and by Atty. JJ Disini about the Legal Challenges in Blogging. I enjoyed these the most as they gave practical and useful information that I could certainly use. Moreover, their talks challenged me to be a better blogger. Juned talked so passionately about photoblogging that I was more encouraged to develop or at least try to improve a bit the photography in my blogs. Similarly, the talk on Video Blogging by Aileen Apolo and Coy Caballes also encouraged me to vlog more and not be intimidated by what I don’t know or not have. Meanwhile, Disini was effective in making a technical and “nosebleed” topic sound simple and practical. He didn’t mumble law jargon, rather, he made me understand the practical stuff I need to do and need to avoid as a blogger. I also had a thrill listening to Manuel “Manolo” L Quezon III (MLQ3) speak about Blogging and the 2010 Elections. I was at awe at his passion for politics and social change. The panel discussion made me realize that marami pa akong kakaining bigas (I need to do a lot of work) before I can call myself a true and effective political blogger. More than the talks and the lessons and challenges it presented, I was overwhelmed by the entire experience of attending the event, meeting new bloggers, being exposed to different groups, ideas, and passions. It was stressful, but certainly something I would like to experience again. See you next year! (I hope!) Meanwhile, I’ll ponder and use the many lessons and challenges I encountered during iBlog 4. Video of my talk here. Thank you Ria for taking time and sharing your insight at iBlog4. Cheers! Checked the video and i like it. Congrats Ria!